When you know your vehicle collision wasn’t your fault, there may be something you can do about it: Seek damages through an injury claim. You can do so with the help of an Albuquerque auto injury attorney at Will Ferguson & Associates. Accidents, unfortunately, can’t always be prevented—no matter how carefully you drive. However, if you’ve been injured in a vehicle collision, there is a way to reduce the stress of the aftermath. You can sue an at-fault party who contributed to your Albuquerque automobile accident, and you can receive compensation for your injuries. After a moderate to serious car crash, you are probably facing enormous medical expenses. You’ve missed time at work, and you’re facing the many other financial losses this accident has brought about in your life. You may also be dealing with emotional distress, fear, and physical pain. You deserve justice. Filing a claim for compensation and winning can grant you some closure for this accident. Compensation can also reimburse you for the financial losses you’ve suffered in a vehicle crash that you didn’t cause. Filing a successful claim can be difficult, though. That’s why so many victims like you enlist the help of a qualified and experienced Albuquerque car accident injury attorney. Many safety measures and laws have been put in place to prevent as many auto injuries as possible, but far too many injuries and deaths are still caused by car crashes in New Mexico each year. Defensive driving will certainly help, but there are some causes of auto accidents that not even defensive driving can take care of. For example, when you lose control of your vehicle and crash because of a defective auto part, there’s really nothing you could have done to avoid that crash. You can hold the manufacturer responsible for your injuries and losses by filing an injury claim against them. Who You Hold Accountable For Your Collision Will Depend on the Cause of Your Crash. Distracted Driving – The distracted driver is likely liable. Dangerous Road Conditions – The government could be held legally responsible. Intoxicated Driving – The intoxicated driver would be liable. Reckless Driving and Speeding – You can sue the speeder or reckless driver. Faulty Auto Parts – A manufacturing company can be made to pay you for your losses. Poor Repair Work – A mechanic or auto shop could be liable for your injuries. Drowsy Driving – A drowsy commercial vehicle driver or the company the driver works for could be held responsible. The principle that allows you to sue someone for an auto accident is negligence. If someone’s actions cause you to be hurt, then they can be considered legally responsible for your injuries. They can be made to compensate you in order to make things right. Comparative negligence refers to the assessment of fault on both sides of a vehicle crash. Sometimes, you can be in an accident where both parties hold some blame. That doesn’t preclude you from going after the other party for the role they played in the collision. You can still sue the other party because of the law of comparative negligence. Unlike in some other states, even if you hold more than 50 percent of the responsibility for a collision, you can still file an injury claim in New Mexico to be reimbursed for the role the other party played in your accident. For example, if you were texting while driving, but the other driver ran a red light and crashed into you, you could still sue that person for damages. However, you would only be awarded damages for the amount of fault found with the driver who ran the red light. When you file an injury claim for a vehicle collision—including motorcycle and 18-wheeler crashes—you usually file the claim first with the at-fault party’s insurance company. You can certainly take your ABQ automobile crash claim into the courtroom, but that’s usually done as a last resort. When you file your claim with the insurer, you will present all of the evidence you have that their policyholder was responsible for your accident and injuries. If you convince the insurance company that you’re owed damages, you will receive a settlement. The concept is easy enough to understand; however, getting a fair payout is a little more difficult. Insurance companies don’t want to pay out on claims, and they will do everything in their power to reduce your claim’s value, or they will try to get out of paying you altogether. They have many tactics they can employ to do this, and they handle insurance claims on a daily basis, so dealing with an insurer can be tricky. It’s often a good idea to have your ABQ car accident attorney handle communications with insurance adjusters on your behalf. Aside from getting justice and holding a negligent party accountable, you file an injury claim to recover your losses. Accidents bring about huge changes in a victim’s life—negative changes. Your medical expenses alone can put you behind on bills for months or years. That’s unacceptable, especially when the crash wasn’t your fault. If you didn’t cause the accident or you weren’t fully responsible for causing it, then you shouldn’t suffer further because of it. You’ve been through enough stress. You deserve maximum compensation for your injuries and related troubles. It makes sense that the more serious your injury is, the more compensation you stand to receive. This is for a few reasons. First, it’s because serious injuries require more extensive medical treatment and more time away from work. In some cases, a very serious injury will disable you, making earning an income impossible. Second, a very serious injury can affect you emotionally and mentally, as well. If you lose a limb, for instance, this injury can change your entire outlook on life. You can be compensated fully for non-economic damages like your emotional trauma. As you can see, the severity of your injury will affect your overall compensation. Accidents can happen in the blink of an eye, and there’s not always a way to stop them. But there is a way to make the aftermath a little less overwhelming. 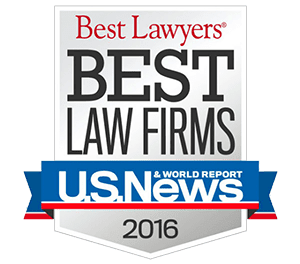 Speak with an injury attorney who knows how to win auto crash cases so you can receive the compensation and justice you deserve for this life-changing event. 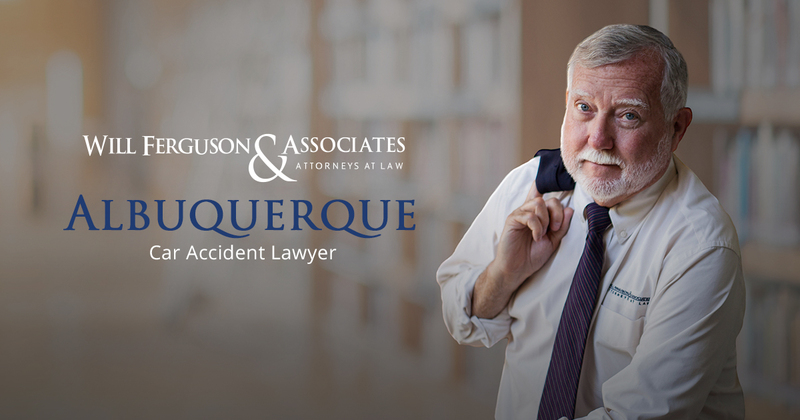 To speak with an Albuquerque car accident attorney during a free consultation, dial Will Ferguson & Associates directly at 505-243-5566. You can also fill out the online contact form at the bottom of this page. Don’t miss out on the opportunity to repair your life through financial compensation. Contact our firm today.